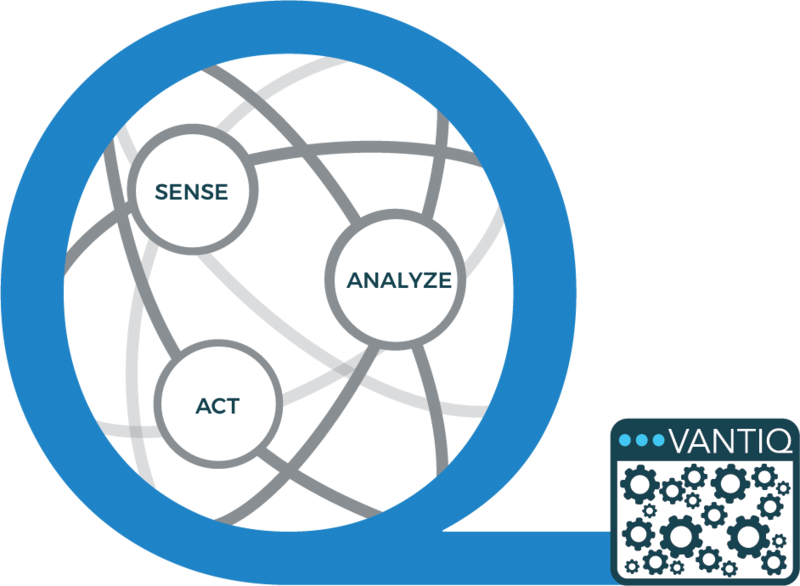 Applications built with MODELO can use data from external services to build and maintain the current state model that drives subsequent analysis and actions. As the state of the service changes, application actions and recommendations can change in response. For example, a change in a weather forecast could lead to a production schedule change. Also, MODELO application functionality can be easily incorporated into other applications via RESTful APIs. The MODELO platform dramatically simplifies the physical operationalization and management of distributed applications – even those with hundreds or thousands of nodes. 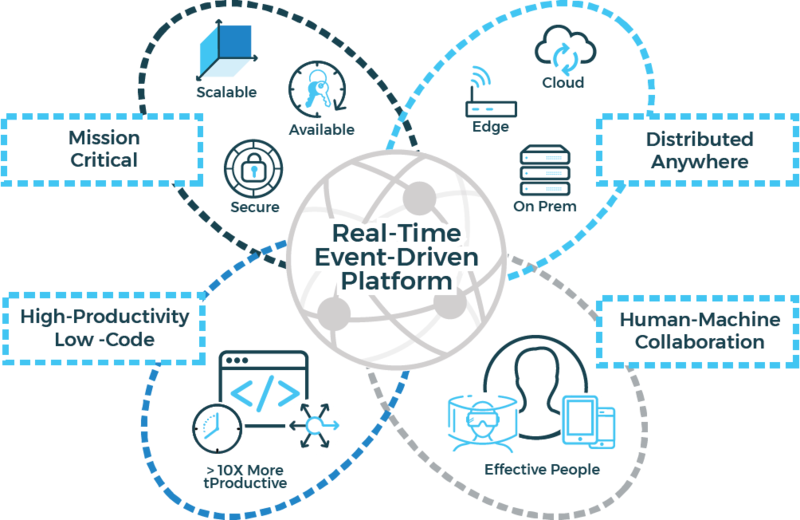 At runtime, all the MODELO Nodes work together to act as a single application that senses, analyzes, and acts to achieve the desired outcomes.